Dining out with family or friends is part of our daily lives; for this reason, many people who are considering the DASH Diet will want to know how to eat at restaurants on the DASH diet. It is tough, but it is not impossible to do. If you know what to avoid, and what you should look for (as a substitute), you can dine out, enjoy great meals, and still consume less than the allotted sodium intake for the day, if you know what to choose when you do dine out. This is the basis of the diet, so it has to be done. When you order a meal, you can ask for it to be prepared without MSG or ingredients that contain salt. You also have to look out for certain meal preparation methods. Dark sauces, pickled, or cured, are all ingredients to look out for – so ask for them on the side. If you have the option to choose a side, go for veggies or fruit dishes, rather than salty appetizers, which you don’t know what half the ingredients are that you are consuming. When dining out, ask for foods to be prepared with olive oil, rather than canola or butter based cooking. 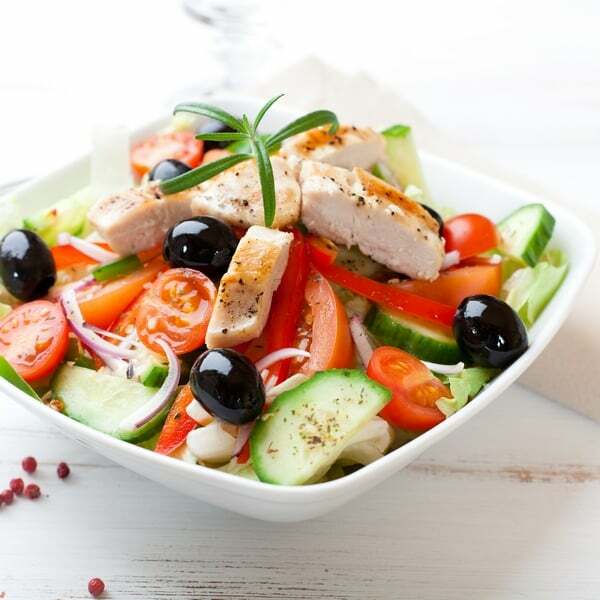 Instead of salad dressing, you can go with a basic oil and vinegar sauce you drizzle on your salad. If there is visible fat on the meat or protein you order, trim it off. Choose dishes that are prepared in a healthy manner; look for words like broiled, poached, baked, and others. Go with steamed vegetables if you have a choice; and, ask for things to be prepared in a certain manner. You are paying for it, you have the right to request it when you order your meal. Some think it’s just the entree, but this is not the case. You have to be careful with appetizers, drinks, and other foods you might order. Water, club soda, diet sodas, or coffee and tea are great choices when ordering a beverage; if you do consume alcohol, you have to limit intake. You can have sides, but make the right choices. Go with steamed or fresh options, rather than the precooked appetizers. You can also order dessert; try to find a fresh fruit dish, or something like a sorbet, which is going to have much healthier ramifications, and is going to offer a much better choice than the chocolate cake will. It is possible to dine out when you are on DASH, but you do have to make sure you know what you are ordering, and you have to plan in advance when you are dining out. You can ask for substitutions, ask for meals to be prepared in a certain way, and ask for healthier side dishes, in order to ensure you are getting the right food sources, avoiding high sodium, and staying on track, with the healthy lifestyle change you are making with this diet.